All that engagement with changes and happenings in present-day York can get a bit tiring can’t it. 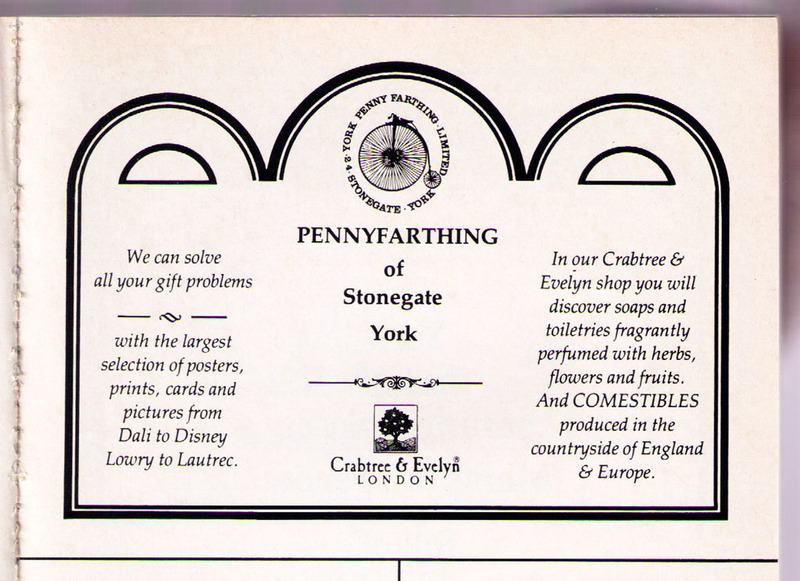 Let’s have a break with some gentle nostalgia from ancient times … the early 1980s … via a selection of adverts. 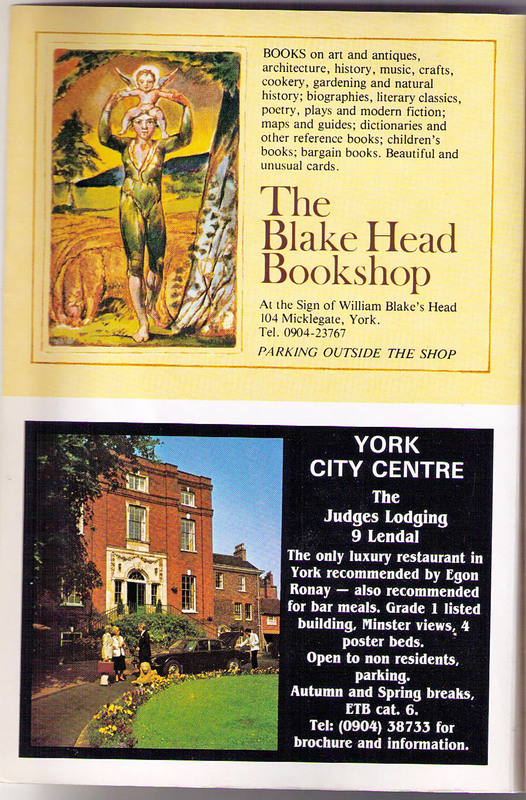 Above, ads for the fondly-remembered Blake Head Bookshop, since closed, and the Judges Lodgings, still there but looking rather different out front. Back then it appears to have had a curved lawn with a neat flowerbed around. Now it’s all paved and covered with tables and chairs. York had some interesting independent shops, several of which I remember, but not clearly. 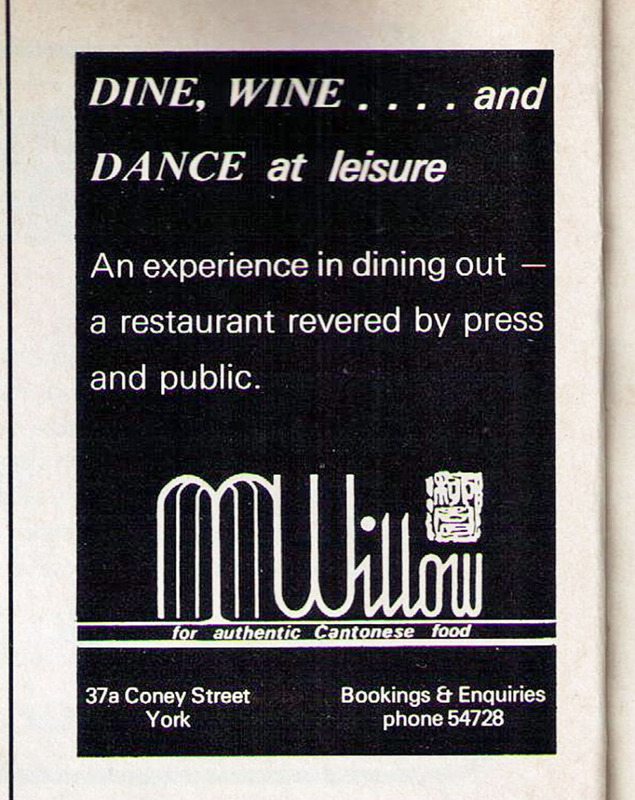 And The Willow, on Coney Street, where customers were still dining and dancing in the early 1980s, and indeed still are, but not for long apparently. The Willow is to close this month. 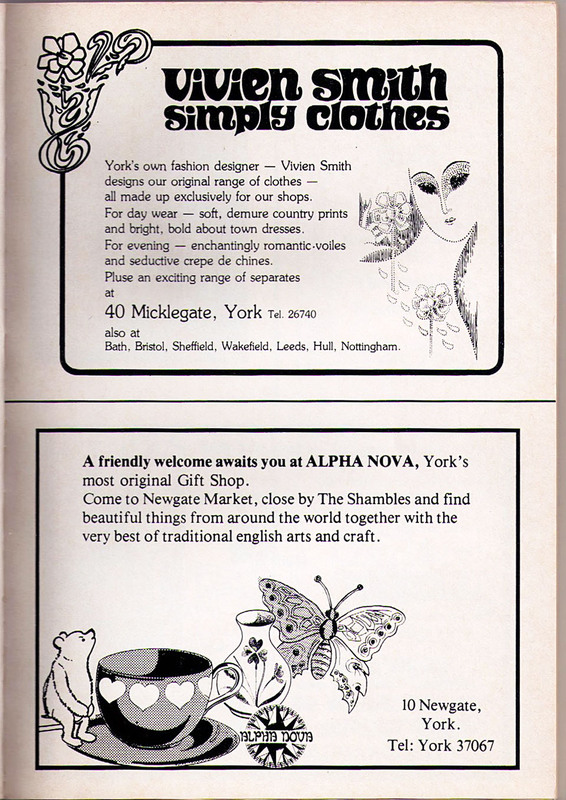 Having featured in an ad in the early 1970s guide, where we were encouraged to ‘wallow in the world of the Willow for a while’, it was by the 1980s ‘revered by press and public’. I’ve never been to the Willow. Perhaps I should, before it closes on 26 July. Your memories and comments are welcome, dear readers. And if this page has left you with a nice warm glow of happy nostalgia please consider supporting this site. Thank you. 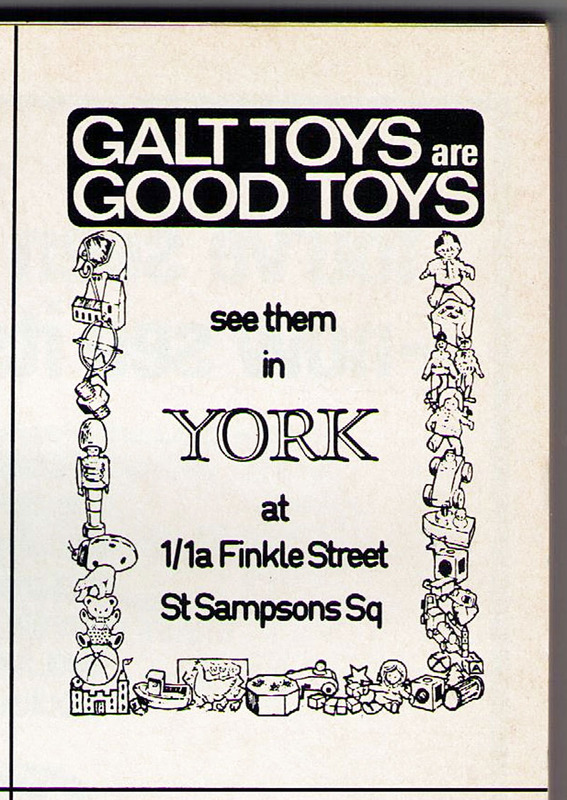 Ads are from the York Official Guide and Miniguide, 6th edition, edited by A L Laishley and John Brown, designed by Jack Griffiths and Peter Turpin and printed by Ben Johnson & Co Ltd.